Today we had a lot of different activities to take part in. First thing this morning we went outside to the listen to a story about Geraldine the giraffe who learnt how to dance. 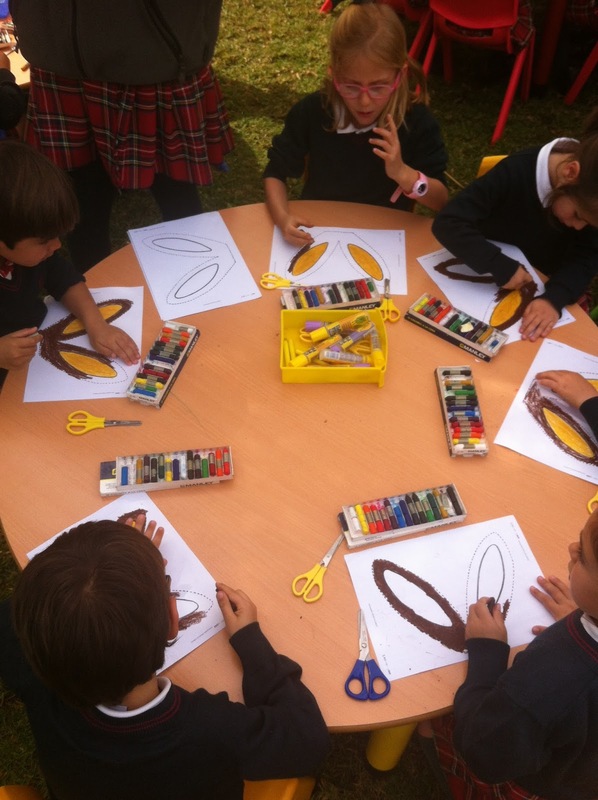 After that, we took it in turns to go outside to make kangaroo ears in workshops which the older girls had prepared for us! We had a great time colouring and jumping like kangaroos. 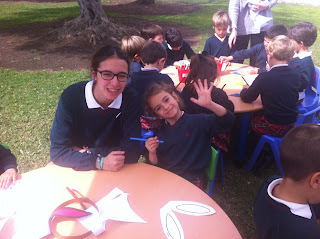 Today was the first day of the Cultural Fair, and we had many activities in English to enjoy. First of all, some girls from the sixth form came to tell us a story called "Room on the broom". We really enjoyed learning about the characters and listening to the story with them. Then we also had a special visit from a kangaroo, a typical australian animal. We talked to the kangaroo about its defining features, its colour, and its pouch, and then we gave her a hug. HELPED TO MAKE IT SUCH A SPECIAL DAY! As well as learning a lot of new vocabulary, within the magic Dragon project we also learn how to insert this vocabulary into sentences, giving it more context and reinforcing our learning. 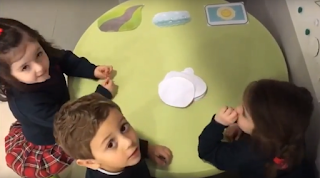 The children in Year 2 (4 years old) have been making their own sentences with mixed vocabulary from various units, and the children in Year 1 are learning how to construct basic sentences too! 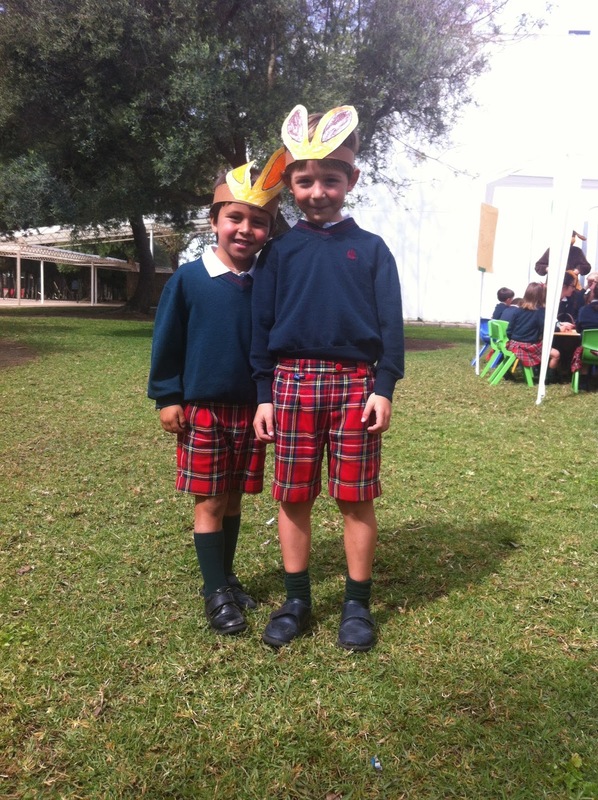 In Year 1 this month´s unit is all about different methods of transport. 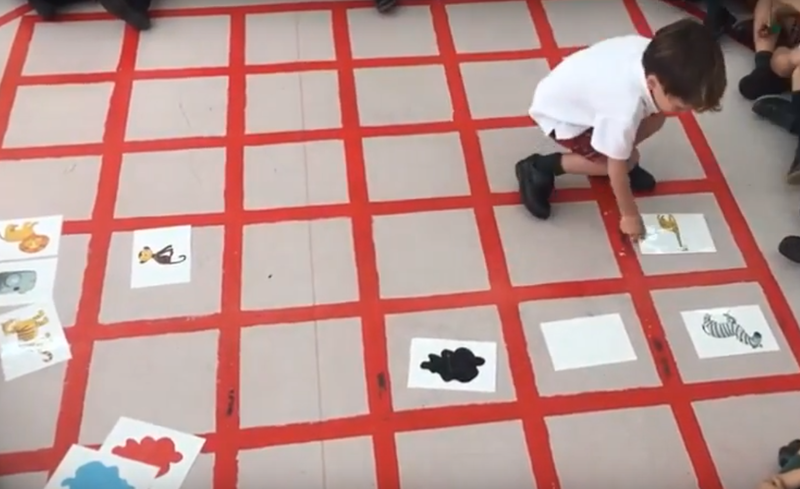 We have talked about how we come to school, which transports are fast and slow, and today in the English Corner we have been talking about whether each of the trasports go on the road, on the sea, or in the sky. 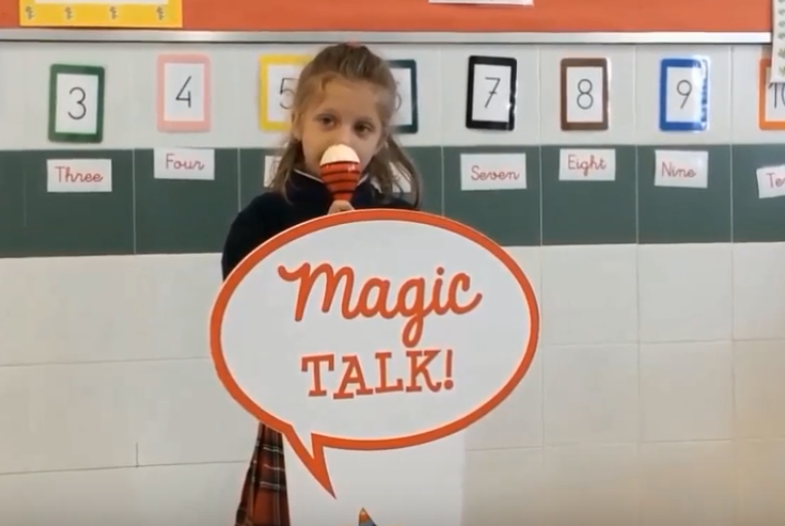 As part of our English classes we are practising our public speaking skills and our ability to speak freely in English with the MAGIC TALK project. It´s a chance for us to practise speaking in English in front of the class and to overcome the fear that we all have of speaking in front of a crowd of people. In Year 3 we are able to talk about all kinds of different things ranging from the story to our families and our favourite animal. As we had been studying animals, last week Javier, a student in Year 1, brought in a special surprise to show his classmates, and it created quite a stir! 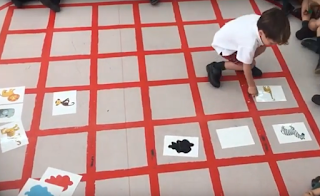 His tortoise spent the day with Year 1B and visited the students in lots of other classes as well. We loved having the chance to see a tortoise up close and personal.